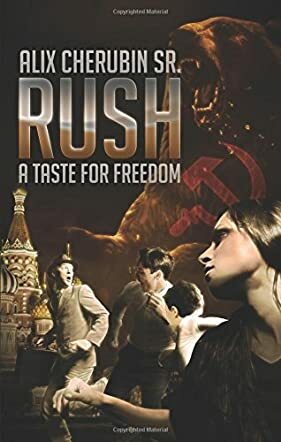 Based on a true story, Alex Cherubin’s “Rush: A Taste for Freedom” recalls the struggles and dangerous efforts of Peter who is hoping to escape from the oppression in the Soviet Union and its cruel Communist system. Facing persecution and even death, Peter has to remain courageous in order to save his own daughter, Galia, and the rest of his family. The oppressive regime continues and Galia chooses to fight by his father’s side. How can they escape from the Iron Curtain when hope has only the width of a thread from a spider’s web? First and foremost, kudos to the author for his courage. Truly, it takes a lot of heart to write the story of his father-in-law and his wife. Alix Cherubin Sr. traces the lives, loves, and aspirations of the main characters with deep compassion and powerful insight, making “Rush: A Taste for Freedom” a magnificently crafted story. This is an inspiring real-life account celebrating the triumph of the power of faith, family and love over a terrifying situation. Cherubin has a gift for vivid descriptions. “Rush: A Taste for Freedom” is a frank, courageous and heartbreaking novel that is beautiful and illuminating. The author has successfully created a moving picture of his father-in-law and it is conveyed with admirable clarity. If you want to read a story that is thoroughly engaging, “Rush” will not disappoint.